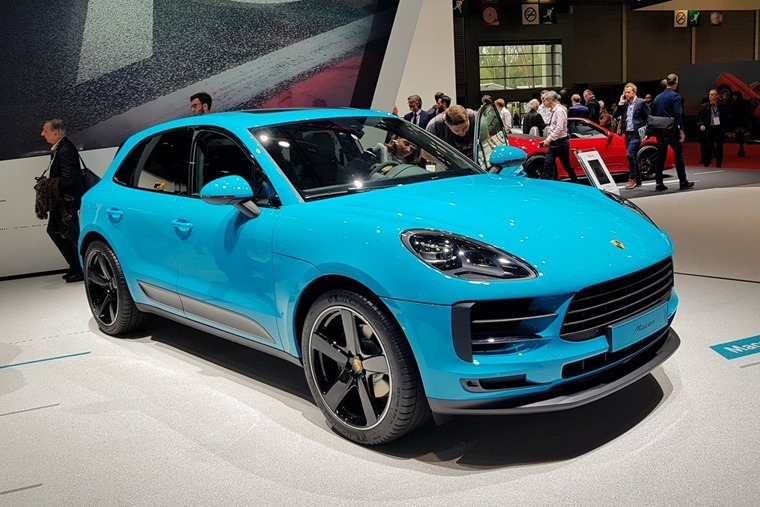 Having previously been revealed in Shanghai last year, the Porsche Macan made its European debut at the 2018 Paris Motor Show. 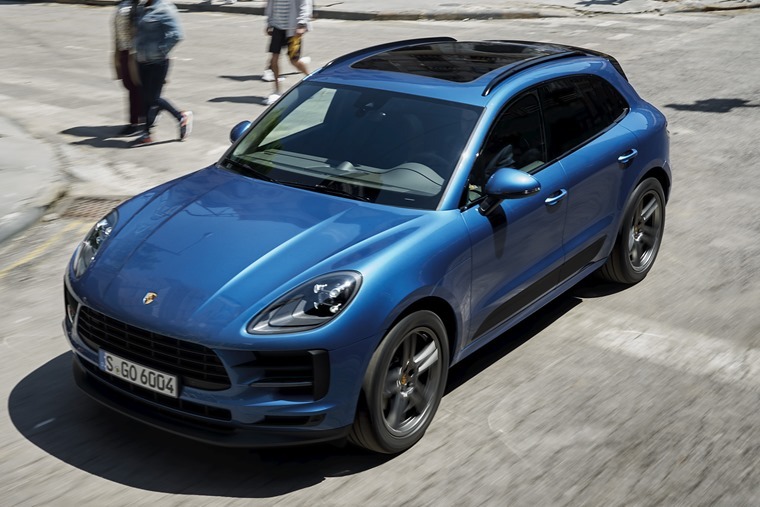 The Porsche Macan has been a huge success since its launch in 2014, and the latest model brings further enhancements in terms of its design, comfort, connectivity and driving dynamics to the compact SUV segment. 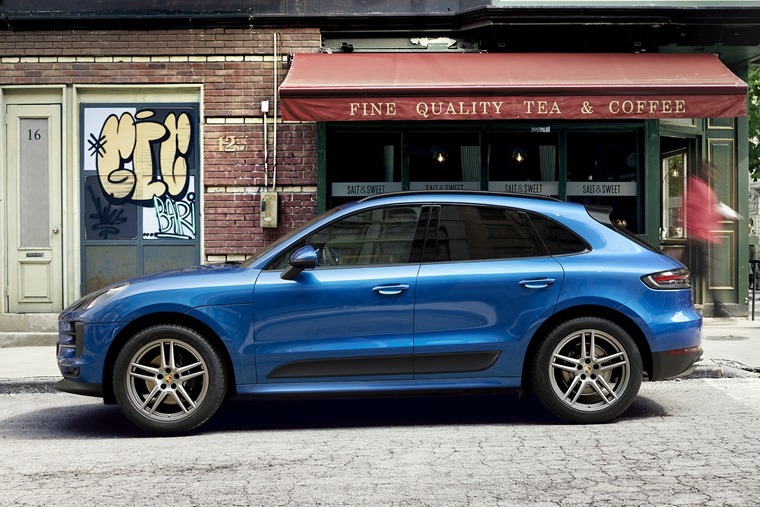 Improved in every key area and redesigned inside and out, the new Macan stays true to the Porsche design DNA. 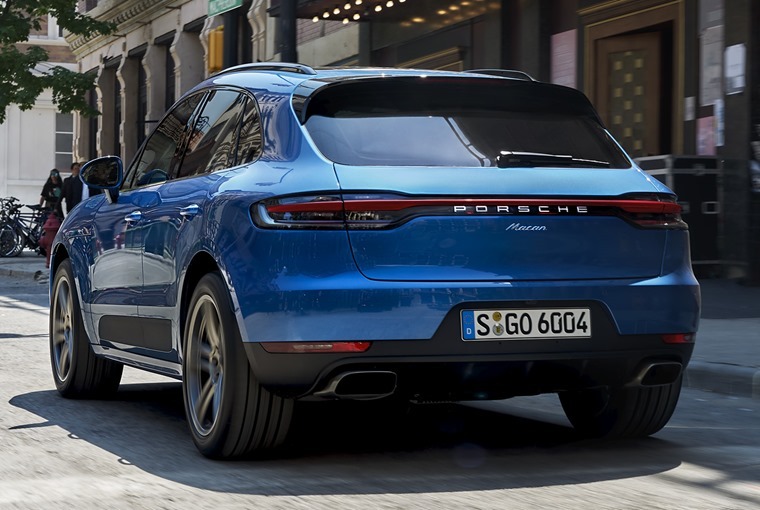 A number of exterior styling features are intended to bring a more purposeful appearance look to the Macan, as well as incorporating more contemporary design elements. For instance, numerous details reflect the DNA of the iconic 911 sports car as well as the 918 Spyder. The highlight of the new model remains its driving experience and, in addition to revisions to the engine and chassis, the latest car also introduces fresh ideas to the overall design, interior comfort and connectivity. Under the bonnet sits an efficient 2.0-litre, four-cylinder turbocharged petrol engine which delivers 245hp and a maximum torque of 370 Nm. In combination with its seven-speed double-clutch gearbox, the four-wheel drive sports car can accelerate from 0 to 62 mph in 6.7 seconds with the potential to reach a top speed of 139 mph. Fuel consumption is 34.9 mpg which is equivalent to 185 g/km CO2 (NEDC). 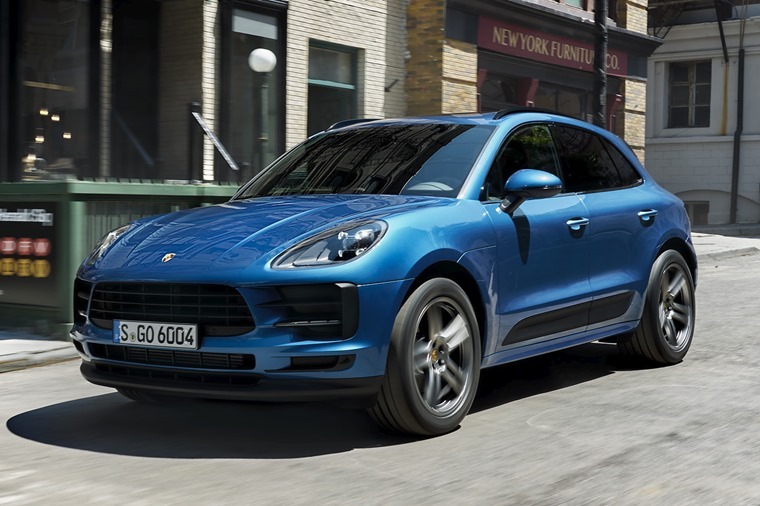 Driving dynamics remain the primary focus, and the front of the new Macan has been designed to lend the car a wider appearance, while the overall styling impression intends to build on the sleek design of the prior model. The three-part, three-dimensional LED light strip across the rear represents another typical Porsche design element. The four-point design of the brake lights is a further motif of the Porsche brand identity. Thanks to its optimised chassis, the new Macan delivers enhanced neutrality while maintaining stability and improving comfort. Although unusual for the SUV segment, the Macan still features mixed tyres with different tread widths on the front and rear axles. As with two door Porsche models, this arrangement enables the driver to take full advantage of the intelligent, all-wheel drive Porsche Traction Management. Newly developed tyres with improved performance characteristics further raise the dynamic cornering potential. The most striking innovations inside the vehicle include the 11in touchscreen of the new Porsche Communication Management (PCM), re-designed and re-positioned air vents and the GT sports steering wheel familiar from the 911. The PCM enables access to new digital functions, such as intelligent voice control and the online navigation system. The vehicle’s range of comfort equipment has also been expanded to include traffic jam assist, an ioniser to control interior air quality and a heated windscreen. Porsche has also used the introduction of the new model as an opportunity to expand the range of assistance systems in the Macan. The new Traffic Jam Assist including adaptive cruise control enables more comfortable and relaxed driving behaviour and not only does the system feature partially automated acceleration and braking – it also assists with steering in a traffic jam or in slow-moving traffic. 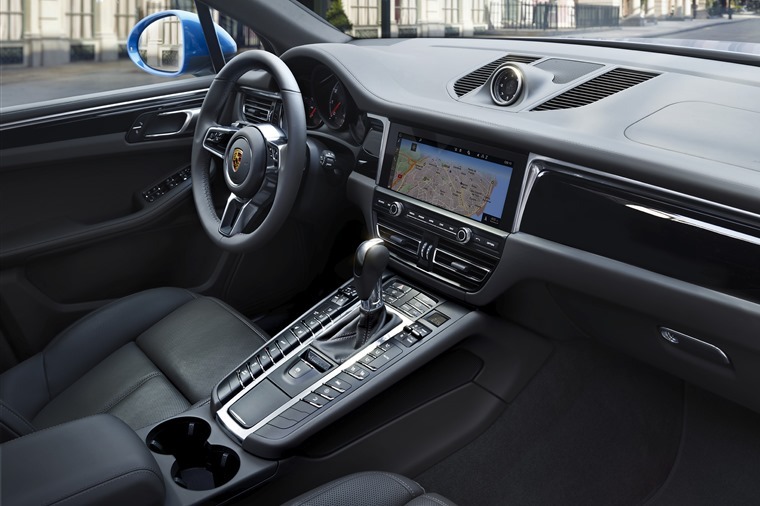 Through the new Porsche Communication Management (PCM), the Macan offers total connectivity and numerous digital functions. Above the typical Porsche rising centre console, a full-HD touchscreen has been enlarged from seven to eleven inches and is incorporated seamlessly into the newly designed instrument panel. As in the Panamera and Cayenne, the user interface on the infotainment system can be customised using predefined tiles. The air vents have also been re-designed and are now positioned below the central screen. Built at the Porsche factory in Leipzig, the new Macan is available to order now priced from £46,344.00 RRP.